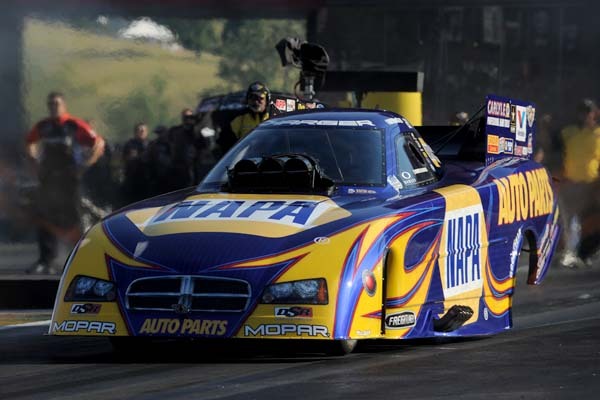 BRISTOL, Tenn. (June 16, 2013) – Just as the NAPA AUTO PARTS Funny Car was finding its way back to championship form, a broken throttle linkage ended driver Ron Capps’ day early. 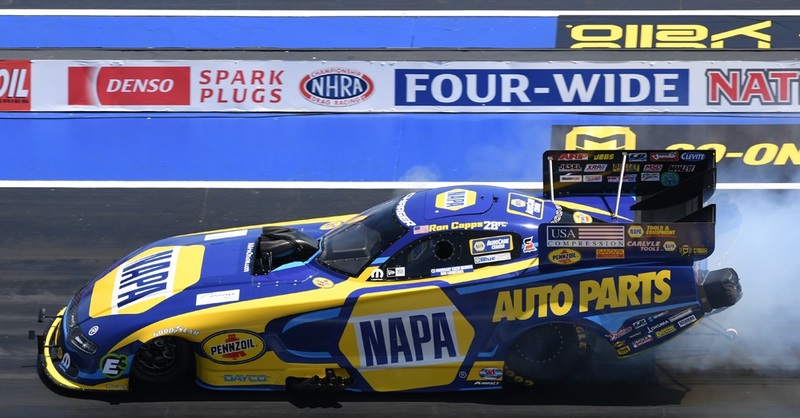 When Capps floored the pedal in the opening round of the Thunder Valley NHRA Nationals his car inched off the starting line instead of blasting off like a rocket. He went nowhere and was unable to defend the title he won at Bristol Dragway a year ago that was the third time he left Bristol with the trophy. “That hasn’t happened in a long time,” Capps said. Capps was right; a piece of the throttle linkage failed. It was even more disheartening because it stopped Capps’ streak of five solid runs including four in qualifying at Bristol. Capps had to sit and watch Chad Head in the other lane. Under NHRA rules, a car is disqualified if it hits a guardwall or crosses the centerline. 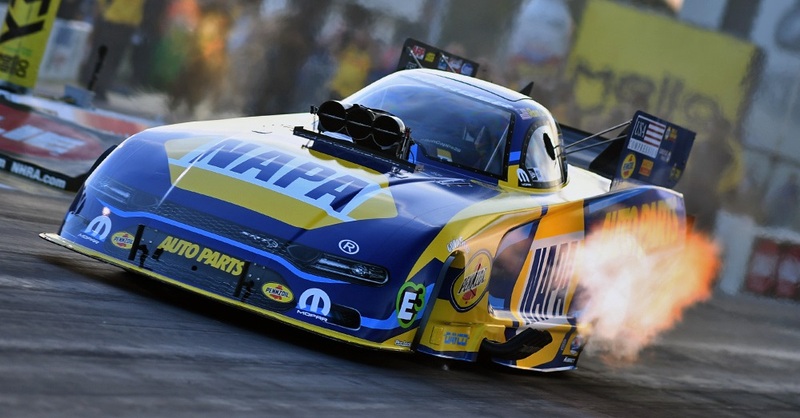 Fortunately for Capps, who started the day ranked fifth in points, and the NAPA AUTO PARTS team, two of the teams ahead of him – Don Schumacher Racing teammates Johnny Gray and Jack Beckman – also lost in the first round. Capps will remain fifth in points. 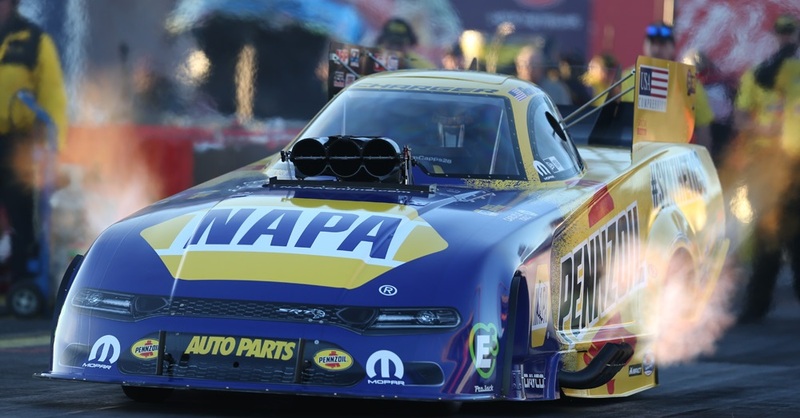 Capps and the NAPA team are eager to get to next weekend’s inaugural New England NHRA Nationals at Epping, N.H. 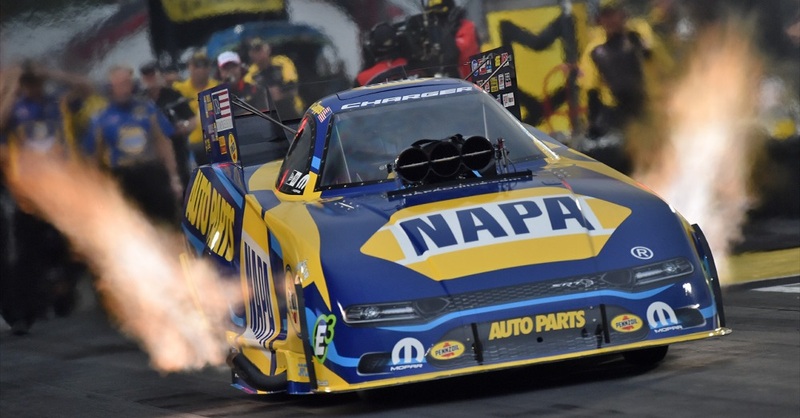 The next event for Capps and the NAPA Funny Car team is the inaugural New England NHRA Nationals in Epping, N.H. Join us at the track to cheer Capps on, or watch the racing action on ESPN2 this Sunday, June 30, starting at 7:00 p.m. EDT.